Elvish Outriders are trained as the royal couriers of the elven kingdoms. Despite the peaceful nature of their people, their experience makes them quite deadly in combat. 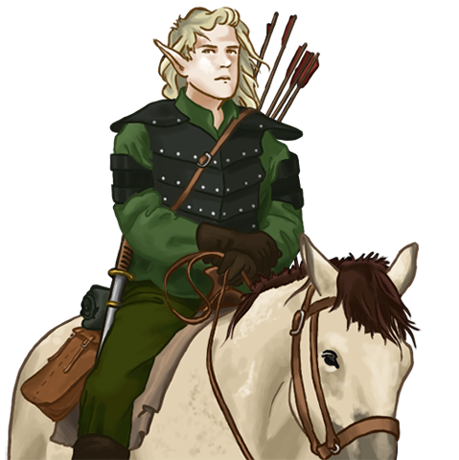 Only the most dedicated exceed these elves’ skill as mounted archers — in fact, most would be hard pressed to equal it standing on solid ground. The speed of these soldiers allows the elves to strike when and where they choose when fighting on their home ground, a fact that has saved many of their number from death. Last updated on Sat Apr 20 00:49:49 2019.